Tottenham will soon confirm their first summer signing, with the Telegraph reporting they are close to agreeing a deal for Ajax defender Davinson Sanchez. The centre-back did not report to the team hotel for Thursday’s game against Rosenborg, fuelling speculation that he is on the verge of moving to north London. 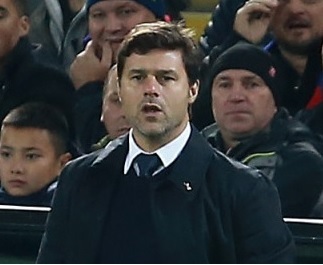 Mauricio Pochettino is thought to have been personally pushing the club to move for the Colombian. Having shifted his formation to a back three last season, he will be able to utilise Sanchez alongside Toby Alderweireld and Jan Vertonghen – also both formerly of Ajax – and allow Eric Dier to operate in his preferred position of central midfield. Barcelona have previously tracked the 21-year-old, who drew attention to himself with his role in getting the Dutch side to the Europa League final last season. The deal has been held up slightly due to a dispute over his fee. Spurs were hoping to pay £28million with a potential £14m in add-ons, with Ajax asking to receive more of the money up front. Once Sanchez has been formally announced, Kevin Wimmer will be allowed to leave, with West Brom reportedly keen on the Austria international.